For those who live each day totally on the go, totally in the moment and totally on your terms, we have created a pillow for you. The Talalay Active pillow helps you get the restorative sleep your lifestyle demands. Pressure-relieving Talalay material provides the ideal support for proper spinal alignment, which is essential to a restful sleep experience. Thanks to our exclusive TalaFlex open-cell technology, air circulation is maximized to maintain the ideal sleep surface for your comfort. Each pillow is proudly handmade in Connecticut of our finest Talalay material. Our pillows are crafted with natural ingredients from the tropical rubber tree, and are inherently anti-microbial, hypoallergenic, and dust mite resistant. Designed for your lifestyle, durable Talalay will always recover. It will not flatten, does not need fluffing, and always bounces back. What's the difference between Talalay and Memory Foam? Talalay is a rubber. Memory Foam is a foam, which doesn’t provide both support and pressure relief. Talalay is a natural material derived from the rubber tree. Memory foam is a synthetic material and is a petroleum-based product. Talalay has a breathable design and cell structure that provides a temperature neutral environment. Memory foam is a dense material, which needs heat to activate its pressure relieving quality. It usually sleeps warmer. You “sleep on” Talalay and it has an uplifting effect. You “sleep in” memory foam which provides a “sinking” effect. Talalay is a two dimensional material. It is both supportive by being uplifting and is also pressure relieving. Most memory foam mattresses use memory foam in the pressure relief layer and traditional poly foam in the support layer. Talalay is “bottomless.” Even when you lay on your side, your body does not “bottom out” into a hard layer in the mattress or on the foundation. Memory foam allows you to bottom out onto what is underneath it. Talalay is a fast response material. When you move, it immediately responds to your new position. Memory foam is a slow response material. Talalay is hypoallergenic and does not off-gas. Memory foam is a petroleum-based product. Talalay is extremely durable. Because it is vulcanized, it is the most resilient material available in a mattress. Talalay is inherently antibacterial and antifungal. How is Talalay Latex different from Dunlop Latex? Even though they’re both latex, there are significant differences between our Talalay Latex and Dunlop Latex (Latex Light). They’re manufactured using different processes; it takes 14 hours to make a Talalay Latex mattress core, but less than one hour to make a Dunlop mattress core. BreathabilityTalalay Latex is FOUR TIMES more breathable than Dunlop Process Latex. Why? Talalay Latex is aerated and has a large cell structure. Dunlop Latex is denser latex and has a small cell structure. Pressure ReliefTalalay Latex is 33% more pressure relieving than Dunlop Latex. Why? The vacuum process used in making Talalay Latex allows for the latex to stretch like the rubber in a rubber band so it allows your body to sink in. Dunlop Latex is a poured process that creates latex which is less flexible. The rubber is more like the rubber in an eraser. DurabilityTalalay Latex is 3 TIMES more resilient than Dunlop Latex. Why? The Talalay Latex process creates a round cell structure. As the latex is compressed, a round cell structure does not break itself down. The Dunlop Process creates a snowflake cell structure. As you might imagine, as you compress a snowflake cell structure, the material breaks down. ConsistencyTalalay Latex is the same feel at the top of the Latex as the bottom. Dunlop process latex is softer on top and firmer on the bottom. Why? 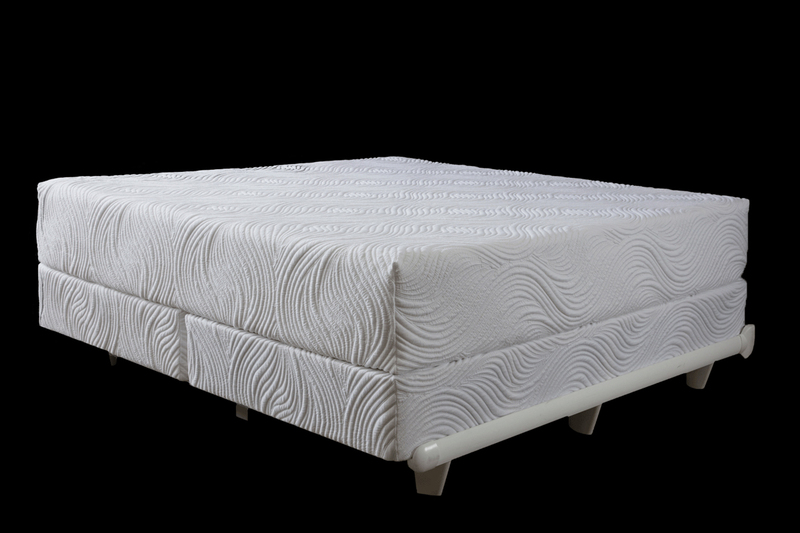 The Talalay process uses flash freezing that prevents the particles from settling after curing. Because there is no freezing in the Dunlop process, particles setting in the latex during curing creating firmness on the bottom. CleanTalalay Latex can wash out more proteins (which is a primary cause of latex allergies) than Dunlop Latex. Why? The Talalay Latex process uses a five-stage fresh water rinse process. SupportTalalay Latex provides not only pressure relief, but also support. Why? Talalay Latex is a two dimensional material. It offers support and pressure relief. Dunlop Process Latex is a one-dimensional material. It primarily offers pressure relief similar to foam. What health and safety standards does Pure Talalay Bliss operate under? Pure Talalay Bliss uses Oeko-Tex certified Talalay and fabrics in all of our mattresses. All of our Talalay is manufactured by Talalay Global in Shelton, CT, USA. Oeko-Tex Association is an independent, third-party certifier. Oeko-Tex certification is widely recognized in most of Europe. It’s awareness in the United States is rising. The Oeko-Tex 100 standard is concerned primarily with health and safety of textile products. Textiles considered for this standard are classified into four categories listed below. Our Talalay is certified for Class I. Product Class IV: Decoration Material – this may also be thought of as housewares, as this category includes table cloths, wall coverings, furnishing fabrics, curtains, upholstery fabrics, floor coverings, and mattresses. Textiles that do not contain allergenic dye-stuffs and dye stuffs that form carcinogenic arylamines of the MAK-groups III A1 and III A2 (see the Oeko-Tex website for a list of chemicals included in these groups). Textiles that had been tested for pesticides and chlorinated phenoles. Textiles that have been tested for the release of heavy metals under artificial perspiration conditions. Textiles free from formaldehyde or containing trace amounts significantly lower than the required legal limits. Textiles with a skin friendly pH. Textiles free from chloro-organic carriers. Textiles for garments free from biologically active finishes. How is Talalay environmentally friendly? Talalay is produced by Talalay Global and is manufactured in CT. The manufacturing process does not use solvents and does not damage the ozone layer. Talalay Global’s Talalay is certified by Oeko-Tex (Europe’s highest environmental consumer product standard) to be free of harmful substances or chemicals. Talalay is made using an eco-friendly production method. The Talalay process features natural, biodegradable ingredients that come from renewable resources and water-based raw materials: natural Talalay, air and water. Talalay is a rubber-based material that comes from the tropical hevea brasiliensis tree. These trees have a 25 year productive life and they have a strong effect on the environment as they quickly absorb carbon dioxide from the atmosphere and help reduce greenhouse emissions. Talalay is made with energy and water conservation in mind. Energy: Talalay Global’s manufacturing automation optimizes energy usage for the molding stage (freezing and vulcanization portion) of the Talalay process. The state of the art factory in Shelton, CT, USA also features energy efficient lighting. Water: Talalay Global has engineered its multi-stage washer to minimize the amount of water consumed. How does a Pure Talalay Bliss mattress improve my sleep quality? Sleeping on a Pure Talalay Bliss mattress is a life-changing experience. 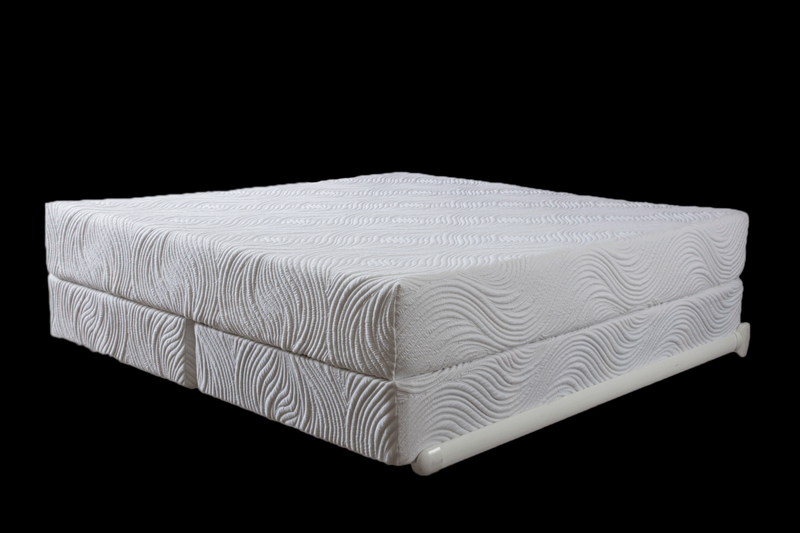 Unlike other mattresses, Pure Talalay Bliss mattresses allow your muscles to relax by providing uplifting support and a pressure-less feel. Many describe it as being the same sense of floating, being suspended. It is a difference you can feel. Relaxing your muscles helps relieve stress, manage anxiety, ease stiffness, control blood pressure and boost immunity. Chronic muscle tension uses up energy, which can make you fatigue easier during the day and even lead to insomnia. (C) 2019 Pure Talalay Bliss. All rights reserved.